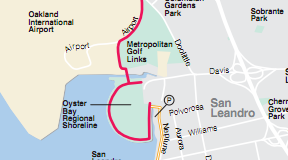 I found the entrance to this paved (asphalt) pedestrian and bicycle path/trail (shown as solid red line on Bay Trail Map) after driving up and down Doolittle Drive once or twice. 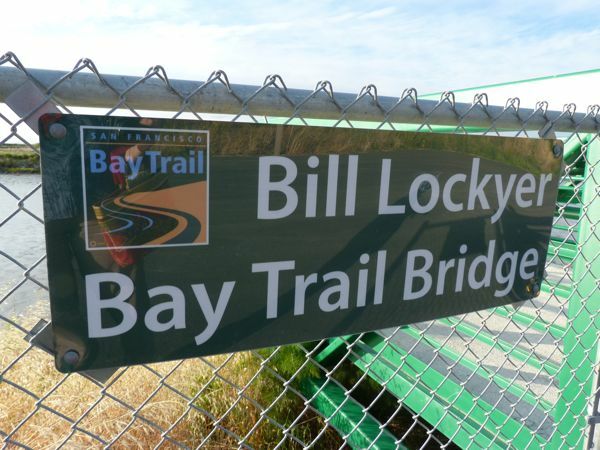 If walking, you may have to start a few blocks away, wherever you can find parking; or access may be gained further south via the Oyster Bay Regional Shoreline trail (if this area is not closed for improvements later in 2011). 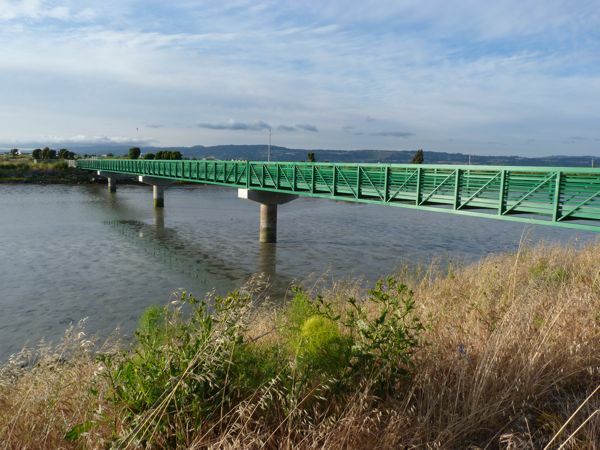 This trail is located along the curved edge of a path that borders the Metropolitan Golf Links, east of Oakland Airport. 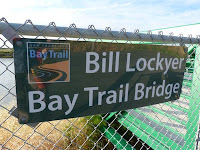 Linking these two areas is the Bill Lockyer Bay Trail bridge. 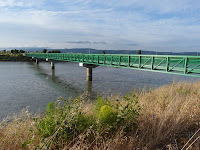 I walked across this bridge to the south side before turning around to head north again, so I could watch a few snowy white egrets daintily stepping through muddy shallows and "fishing" in the water near the bridge, while a few swallows (birds) darted around at eye level across the trail, probably going after some small bugs. 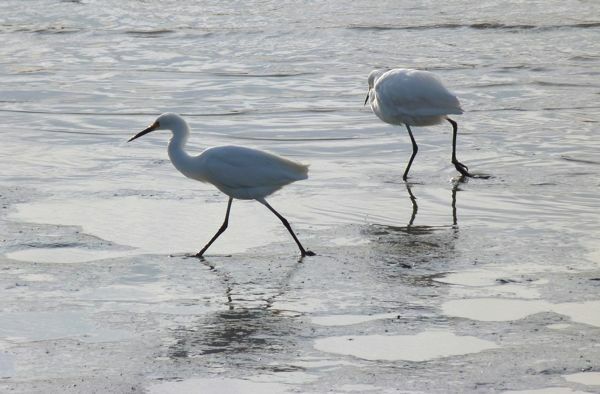 Note: No pictures (bridge, egret pics were added a few days later); my camera ran out of battery this afternoon.